GN Solids Control is a vacuum degasser manufacturer from China. the vacuum degasser is a special device used to process gas-trapped fluid commonly found in drilling operations in the oil field. This device is the latest degasser developed by our company, suitable for all kinds of mud cleaning system. It helps to recover the mud density and stabilize the mud viscosity, thus reducing the drilling cost. At the same time, if there are no gas bubbles in the mud, this device can be used alternatively as a large capacity stirring device. 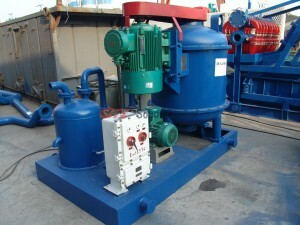 Vacuum degasser is one important equipment for drilling fluids circulation system. according to which standards can we manufacture a degasser ? web page and to this point? I surprised with the analysis you made to create this particular submit amazing.